Belongs to Phase 03 comprises Block 9, 10, 11, 12 which are nicest blocks of GEM RIVERSIDE RESORT APARTMENT project. Most of apartment in this phase have a nicest river view window and high-end infinity pool as a signature of luxurious life style. Get a best deal from Dat Xanh group (DXG) Developer directly for today. Showing as a type of luxury resort which is having three sides surrounded by green river, the Gem Riverside has a harmonious combination in natural fresh air, green space of the trees, childhood memories garden, clear blue water color of infinity swimming pool system. All of them make Gem Riverside become unique and that is also the gift created from the heart of Dat Xanh group – Developer as well as creativity of Singaporean architects. All dedicated to incoming Gem Riverside residents. The development of area is also covered by a lot of amenities as shopping centers, commercial buildings, service residences, residential for sales, a combination of international schools, hospitals and greenery parks together with 1,5 kilometers riverside walkway. Gem Riverside promises to bring buyers a fresh, green and airy environment in harmony with nature’s beauty and will feature a dynamic lifestyle with modern, luxury and elegance wide ranges of recreational facilities. Block 10 & 11 is being scheduled to launch Official prices on February 2019. click here. Block 1,2,3,4,5,6,7,8 sold out Review event. 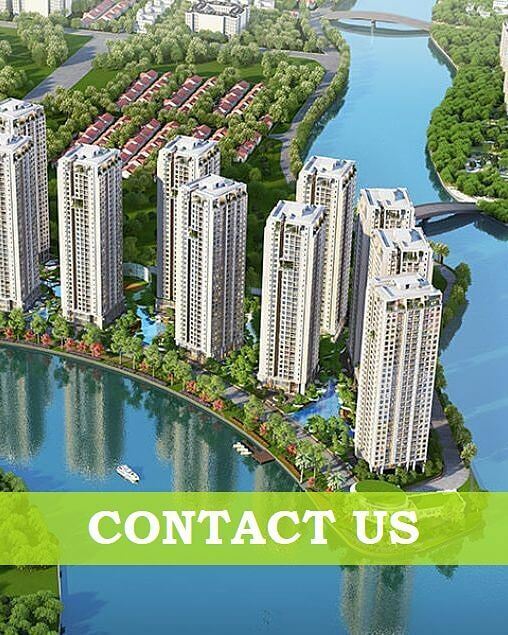 Gem Riverside’s Show House located in PARKSON CANTAVIL buiding (XLHN road, An Phu ward, district 2, HCM city). Marketing research & consultant: Khang Hưng company. The strategic location of Gem Riverside highlights a lot of convenience for the residents. It is in the front line of the Long Thanh – Dau Giay expressway, at the center of Ho Chi Minh city main roads so it is easily for the residents to visit the East Resort areas like Vung Tau, Phan Thiet, Mui Ne, Da Lat, Nha Trang. At the same time, the residents can easily access to the city center through the Saigon bridge (3 km away) or through Mai Chi Tho – Thu Thiem tunnel. 3 MIN DRIVE: to new Thu Thiem city. 5 MIN DRIVE: to center of administration of District 2. 10 MIN DRIVE: to center of District 1. 30 MIN DRIVE: to Tan Son Nhat international airport. via Mai Chi Tho avenue, Long Thanh – Dau Giay express way and Pham Van Dong avenue. Gem Riverside’s 1 bedroom apartment has 45 sqm of interior space. The superior decoration allows buyers fully enjoy life through balcony, living room, dining room, bath room, kitchen and working place separately. The Duplex Villa Gem Riverside owns large and convenient area from 129 m2 – upper 200 m2. This allows 3-4 bedroom spacious decoration and good for big family. 100% Duplex villa has void between 2 storeys and based in the ground of the building. Penthouse Gem Riverside offers unique panoramic view from top deck of the building. The Penthouse is own luxurious and modern design and also a private garden for people who love to enjoy natural scenes. Shophouse Gem Riverside Dat Xanh has many advantages in terms of space and location. Especially, it completely get more businesss opportunities in the crowded residential area. Method 1: Pay 3% by monthly instalments. Method 2: Fast settlement to win a discount promotion. Opportunity to win a Maldives tour for 2 persons and many interesting prizes on the Launch Event. Register today to choose a preferred unit by 250 million VND (11.00USD). This reservation fee is 100% refundable by any reasons. In case of reservation confirmed, the selected unit shall be locked to client by a Consultant contract officially and the total amount of reservation fee will be transformed to non-refundable status as Consultant contract terms. The clients who had guaranteed under Consultant contract will be executed Sales & Purchase Agreement contract (SPA) on 1st Quarter of 2019 by 20% instalment (including guarantee non-refundable fees). The locked unit (first 4 block) shall be handed over to client on Quarter IV/2020 as schedule. All news about Gem Riverside Apartment will be updated here frequently.